Program Objectives: The purpose of this training is to provide you the basic understanding of the legislative and regulated requirements for lock-out and tag-out procedures. 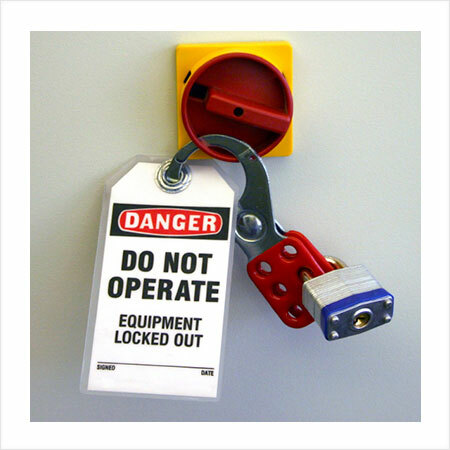 A Lock-Out Tag-Out Program is required by law to ensure your safety while cleaning, adjusting or maintaining equipment or machinery. Each year, workers are killed or seriously injured due to machines or equipment starting up unexpectedly. A simple process of isolating energy sources and ensuring zero energy would prevent these tragedies. Who would benefit: This training program is designed to protect the health and safety of workers on the workplace who could reasonably expect to undertake work activities that involve locking and tagging out machines or equipment. Regulations and Guidelines: The program is designed to protect the health and safety of workers on the job site, developed in accordance with the requirements of the OHSA and applicable regulations.